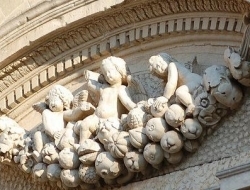 Lecce was the capital of what was formerly known as Terra d’Otranto. It had one of the most prominent Jewish settlements in the Neapolitan kingdom before the expulsion of the Jews. 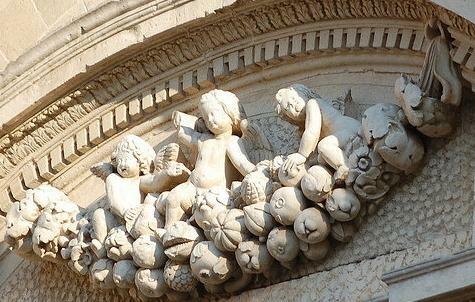 Though there is no evidence of a Jewish presence prior to the 15th century, there are traces its existence Lecce at the time of the Normans (G. T. Tanzi, “Gli Statuti della Città di Lecce,” p. 19, Lecce, 1898). Their occupations were mostly textile dyeing (silk and wool), cattle-raising and money-lending. They were not allowed to own real estate or engage in the higher callings. They were also forced to wear distinguishing badges on their dress. Still, the Jews were protected by the law and seem to have been free from persecutions. When the last Count of Lecce, Giannantonio del Balzo-Orsini, died in 1463 and the city came under the direct rule of Ferdinand the 1st, King of Aragon, there was an outbreak of violence against the Jews. During this time the ghetto was sacked, a number of Jews were killed, and the remainder driven away. 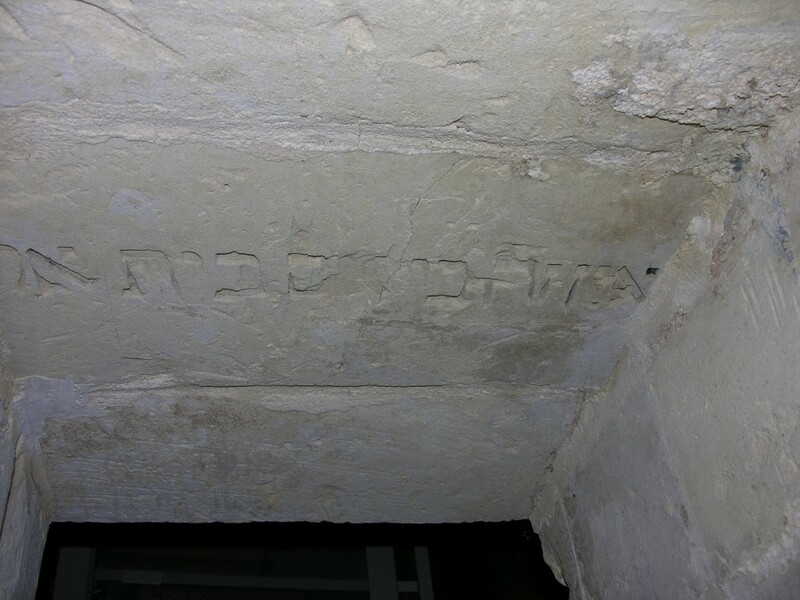 Hebrew inscription originating from the Synagogue of Lecce (5th century) which no longer stands. 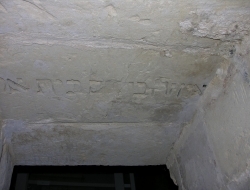 The inscription is preserved in a building near the site of the old synagogue. The city attempted to justify these occurrences before the king by throwing all the blame upon the Albigenses and other foreigners who lived there. On June 20th, 1464, the king issued a decree ordering that the Jews be called back, also pointing out the damages the city had suffered through their expulsion. On March 21st, 1495, a mob invaded the ghetto and set it on fire, killing a great number of Jews. The few that survived scattered throughout the kingdom. The synagogue was demolished and a church erected on its site. The Jews never returned to Lecce, as they were consequently expelled from the whole Neapolitan kingdom in 1540. Lecce was the birthplace of the grammarian Abraham de Balmes ben Meïr (1450-1523).